SpaceX’s Falcon 9 rocket sent a robotic Dragon cargo capsule into orbit today from Florida to deliver 5,600 pounds of supplies and experiments to the International Space Station, just two days after a different Falcon 9 launched 64 satellites from a pad across the country. The primary mission was an undeniable hit, but this time around, SpaceX’s attempt to have the Falcon 9’s first-stage booster touch down on a landing pad was a miss. 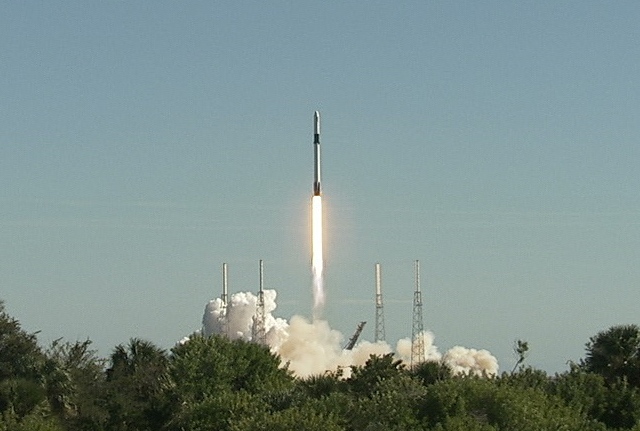 Today’s liftoff from Cape Canaveral Air Force Station might have come even sooner if it weren’t for some moldy mouse food. This entry was posted in GeekWire and tagged Dragon, Falcon 9, International Space Station, NASA, Space, SpaceX. Bookmark the permalink.